Join Blake and Carl as they explore the movement abilities of the human body. This 5-module program takes us through a progressive movement exploration that follows the 5 Chinese Elements. Every Monday evening for 5 weeks we will meet at Renaissance Park to begin the process of integrating into our bodies: strength, balance, flexibility, and awareness. This program is for ALL LEVELS and serves as an opportunity for one to take the next step in your body's health and vitality. Cost for all 5 weeks: Earlybird $85, day of $100. Give us a call at 423-682-8183 to register. Blake and Mariah will be joining forces again in this tag-teamed seminar to discuss women's health. Mariah will be teaching the basics of the Fertility Awareness Method and cycle tracking (which is useful for both birth control and/or trying to get pregnant.) Blake will teach about women's health and fertility from a Traditional Chinese Medicine perspective. We will also discuss PMS remedies, midwifery and other natural birthing techniques. This will be held at our downstairs office in the Medical Towers Building. A $5-15 donation is suggested. Poor sleep is an often overlooked epidemic in our modern world. On average, we sleep 20% less than we did just 50 years ago. Getting your ZZZs is key to keeping your immunity high, your inflammation low, and optimizing your body fat percentage. In this seminar Blake will cover the science behind why sleep is essential and cover tips and tactics that will help you get more of it. Won't it be great to wake up feeling refreshed? This will be held in our downstairs office at the Medical Towers Building. A $5-15 donation is suggested. Long before the days of industrialized food and agriculture, humans ate very differently than they do today. The impact it had on their health and children's health is undeniable. Join Blake Storey and Mariah Watson as they teach about an ancestral diet and Weston A. Price. This will be held at our downstairs office in the Medical Towers Building. $5-15 donation suggested. Learn the basics of Chinese medicine from Blake Storey in this introductory class. Traditional Chinese Medicine uses a variety of healing modalities from herbal medicines to mind and body practices, such as acupuncture and qigong, to prevent and heal diseases. 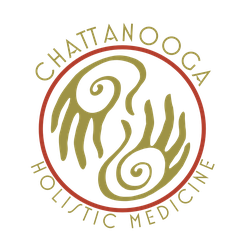 Blake will explain how we can use TCM in our modern day lives to stay healthy and balanced. This will be held at our downstairs office in the Medical Towers Building. $5-15 donation suggested. Come join us for this introductory class on meditation and qi gong (Chinese medical exercise). This will be held at our downstairs office in the Medical Towers Building and will be taught by Blake Storey. Materials will be provided. $5-15 donation suggested. We provide holistic medical care to individuals, families and children. We treat a broad range of conditions by using a combination of techniques including acupuncture, Chinese herbs, functional medicine, diet and nutrition, personal training, cupping, massage, yoga and qigong. By treating the underlying causes of diseases (and not just their symptoms) we help our patients to achieve lasting health. Parking is available behind the building and also on 4th and Wiehl Street. Copyright 2018 Chattanooga Holistic Medicine, LLC. All rights reserved.